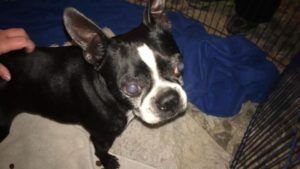 Griffin – A Reason to Believe Animal Rescue, Inc.
ARTBAR has been asked to help several small seniors and unfortunately we just don’t have the funds to take all of them which breaks my heart. This is Griffin- he’s one of the many that are in need. He has some issues standing at times- could be arthritis- could be bad knees like May has- idk yet. Can anyone please donate so we can help this old man? I’m told he’s so sweet and good with other dogs. Previous Post New intakes! Vetting sponsors needed! Next Post ARTBAR desperately needs foster homes for dogs!